Ebates Review: Does Ebates Work? Almost everyone in today’s world does at least a little shopping online. I am a huge fan and do most of my shopping online just because it’s so convenient. With the rise of online shopping, there are more sites out there that will reward shoppers for shopping through their website. One of the very best sites out there is Ebates. One huge question most people have is does Ebates Work? I understand this question because there are a lot of sites out there that are similar to Ebates that don’t give you credit for your purchases like they should. But I have used Ebates now for a couple of years and it’s the best I have seen! In this Ebates Review, I will answer the question does Ebates really work, take you inside exactly how it works, and tell you the advantages and disadvantages of this website! The real big question that everyone has is does Ebates Work? From personal experience, I can say that it does and I have been paid by them multiple times. But what I really want to focus on in this section is How does Ebates Work. It really is a very simple business model. How They Can Pay You! It all starts with Affiliate Marketing. Affiliate Marketing, in a nutshell, is companies like Amazon, for example, want people to advertise their products. When someone like me advertises an Amazon product on a website people learn and find out about Amazon Products. When a website visitor clicks on a product and makes a purchase Amazon will pay me a commission because I advertised the product to that visitor. Ebates does exactly that just on a larger scale. Instead of promoting products, they just promote Amazon and will give you 3% back! 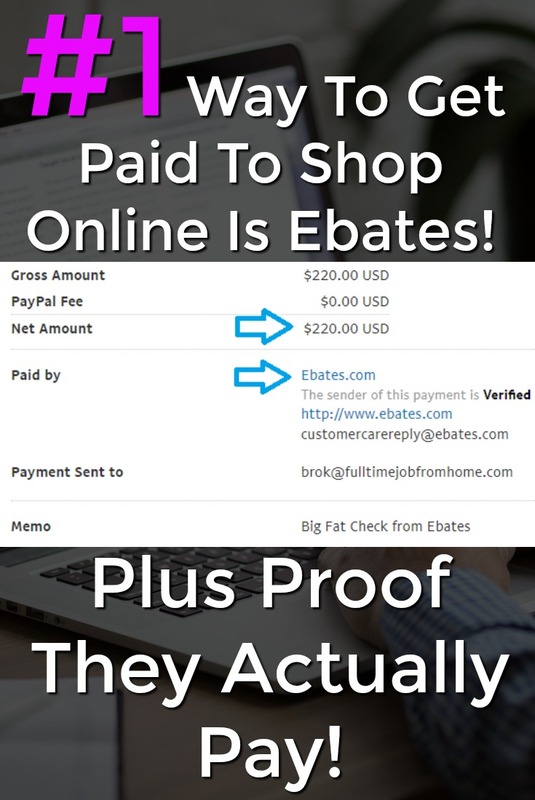 It really is great for us because we can earn money back for our online purchases, but don’t be fooled Ebates isn’t going bankrupt! Once you join Ebates, which you can do here, you find whatever store you want to shop at or a particular item you’re looking for. Then you click shop now. Ebates will open you a new tab with the store or product you chose and you shop and order like normal! Once you complete your purchase you will receive an email from Ebates with 48 hours letting you know that your order has been credited! 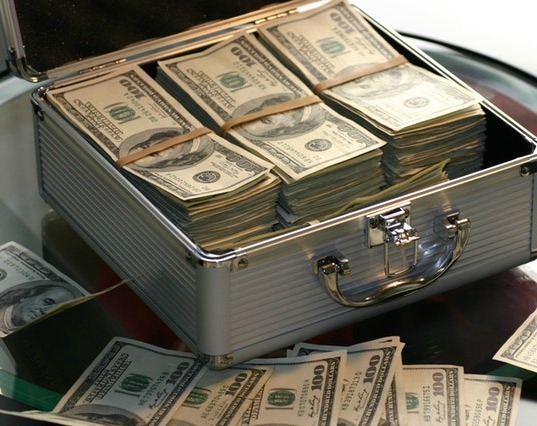 Once you have earned some cash back on your purchases you will want to get PAID! Payments can be made by Check or by PayPal. Payments are made Quarterly, which means only 4 times a year. You must have a minimum balance of $5,01 if you don’t earnings carry over to the next month. I gave Ebates a 95 out of 100 because I really feel like this is one of the best cash back websites on the internet. I also really like it’s referral program which I cover below. Every experience I have ever had, such as referral earnings, shopping earnings, and payments have been extremely smooth. I have always got credit for what I have earned and always been paid on time by PayPal. I highly recommend you joining Ebates and starting to earn cash back on all your online purchases. You would be crazy not too! Out of all the cash back websites online, I found that Ebates has the most stores out of anyone and some of the highest commission rates. This is huge because almost any store you plan on shopping at online will be eligible for cash back earnings and with high commission rates you will be earning the most money back possible! Along with earning cash back on purchases Ebates also helps you save money while shopping at your favorite stores. 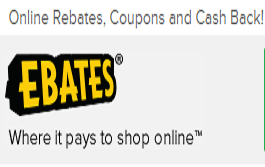 When visiting stores through Ebates they will automatically apply the best active coupon code for your purchases. I have saved a bunch of money using this feature and is something many other similar sites don’t have! Ebates also offers a referral/affiliate program. For all the friends you invite to Ebates you receive $5. The referral program does get a bit confusing, but here are the basics. For every active referral you receive to Ebates that spends $25 at any store you receive $5 plus a commission on their purchase. When you refer multiple people you also get bonuses. Instead of typing it all out I have included a picture to summarize the bonuses below! As you can see just by referring a few friends you can make some good cash. If you run a website or have a large social media following you can easily get 5-10 referrals a month and earn close to $150-$300 each month! Last month I joined Ebates and I am happy to say that I have been paid by Ebates now as well. Here is a picture of the payment I received via PayPal for $4.79. Payment came on time and there was no problems! I’ve been paid by Ebates for a few years now and the income above is a bit outdated. Here’s an updated screenshot of payment proof! 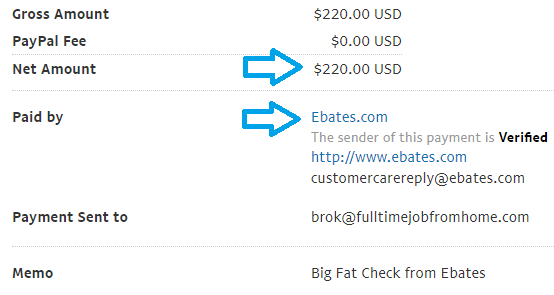 I highly recommend Ebates to anyone looking to earn money back on their online purchases. I have used Ebates now for a few years and have been extremely satisfied. Without a doubt Ebates is one of the very best cash back websites out there and you can join Ebates now here. If you would also like to see other ways I make money online you can check out my Turned My Hobby Into A Business post or Companies That Have Paid Me Online posts! Thank you for reading my Ebates Review. Hopefully you have a better understanding of how Ebates Works and have decided to join and start earning cash back on your online purchases. If you have dealt with this company I’d love to hear about it in the comments section below and don’t forget to share! CoinOut App Review: Scam or Legitimate Way To Earn Scanning Receipts? 4 Legitimate Ways To Save & Earn Money Holiday Shopping! 3 Ways To Earn Money At A Gas Station + Proof They Pay!